Adopted on June 19, 2009. Quadrupedal Sauropod, (Paluxysaurus jonesi,) replaced Sauropod dinosaur,(Pleurocoelus,) as the official lone star state dinosaur when Governor Rick Perry signed House Concurrent Resolution No. 16 on June 19, 2009. Pleurocoeus reigned for seven years before being dethroned by the work of a Southern Methodist University graduate student. The fossilized bones thought to be Pleurocoelus were identified, instead, as a new species by SMU graduate student Peter Rose. The new species, Paluxysaurus jonesi, was named by Rose for the the town of Paluxy and the Paluxy River and the Jones Ranch where the fossils were discovered. 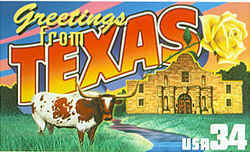 Backed by the Fort Worth Museum of Science and History, the erroneous promotion of Pleurocoelus as the official lone star state dinosaur was put on the road to correction by the introduction of House Concurrent Resolution No. 16 on February 18, 2009. The resolution, introduced by State Representative Charles Geren, declared that an error had been made and that this resolution would correct that error. Sauroposeidon (meaning "earthquake god lizard", after the Greek god Poseidon) is a genus of sauropod dinosaur known from several incomplete specimens including a bone bed and fossilized trackways that have been found in the American states of Oklahoma, Wyoming, and Texas. 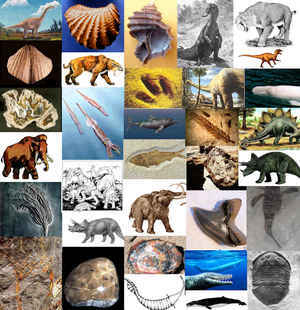 The fossils were found in rocks dating from near the end of the Early Cretaceous (Aptian-early Albian), a time when sauropod diversity in North America had greatly diminished. 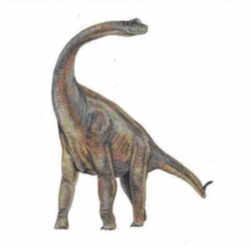 It was the last known North American sauropod prior to an absence of the group on the continent of roughly 40 million years that ended with the appearance of Alamosaurus during the Maastrichtian. While the holotype remains were initially discovered in 1994, due to their unexpected age and unusual size they were initially misclassified as pieces of petrified wood. A more detailed analysis in 1999 revealed their true nature which resulted in a minor media frenzy, and formal publication of the find the following year. The Early Cretaceous sauropod Paluxysaurus jonesi weighed 20 tons, was 60 feet long and had a neck 26 feet long, according to the scientists who have prepared the world's first full skeletal mount of the dinosaur. 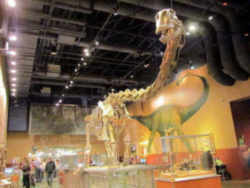 The massive Paluxysaurus jonesi, prepared for the Fort Worth Museum of Science and History in Fort Worth, was unveiled Nov. 20 2009 when the museum opened in a new $80 million facility. The Paluxysaurus mount enables Texans to see their state dinosaur in three dimensions for the first time. 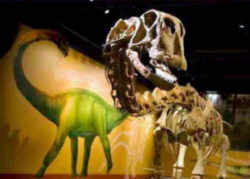 A relative of Brachiosaurus and Camarasaurus, Paluxysaurus lived about 110 million to 115 million years ago. The dinosaur was identified and named in 2007 by Peter J. Rose. The Fort Worth skeleton was assembled from a combination of actual fossil bones from at least four different dinosaurs found on private ranch land in North Central Texas and from cast lightweight foam pieces modeled on original bones. The mount enables scientists to better understand the animal's anatomy, size and stature on questions like "How were the legs situated, and how did the shoulders relate to the hips?" From the skeletal mount, the scientists learned that Paluxysaurus was more than 6 feet wide and nearly 12 feet tall at the shoulder, although built fairly light, Winkler says. Its teeth are a lot slimmer than those of its closest relatives, indicating Paluxysaurus gathered and processed food differently, using its teeth not for chewing, but to grab food, he says. Paluxysaurus had a long neck like Brachiosaurus, and a tail almost as long, but wasn't quite so gigantic. Scientists also learned Paluxysaurus had relatively long front arms, unlike Diplodocus, making its back more level. The dinosaur's shoulder turned out fairly high, and the hips were wide, Winkler says, and it had reached a more advanced stage of evolution than Late Jurassic sauropods. Paluxysaurus' massive pelvis and its sacrum have never before been viewed by the public, he says. Its ilium, the largest bone in the pelvis, is similar to that of titanosaurids of the Late Cretaceous, mainly found in South America. However, one titanosaurid, called Alamosaurus, entered North America and is known from Big Bend National Park in southwest Texas. The bones assembled for Fort Worth's Paluxysaurus mount were recovered by students, faculty, staff and hundreds of volunteers over the past 16 years. 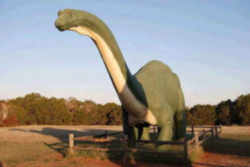 In 1997 the Brachiosaur Sauropod, Pleurocoelus, became the official Lone Star State Dinosaur when Governor George W. Bush signed Senate Councurrent Resolution No. 57 on June 3, 1997. Paluxysaurus jonesi was designated the official lone star state dinosaur by House Concurrent Resolution 57 and is, therefore, not listed in the Texas Statutes . 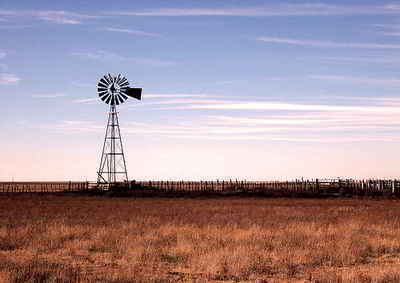 Only a small number of Texas' myriad symbols have been actually adopted by an act of the legislature and written into the Texas Statutes .